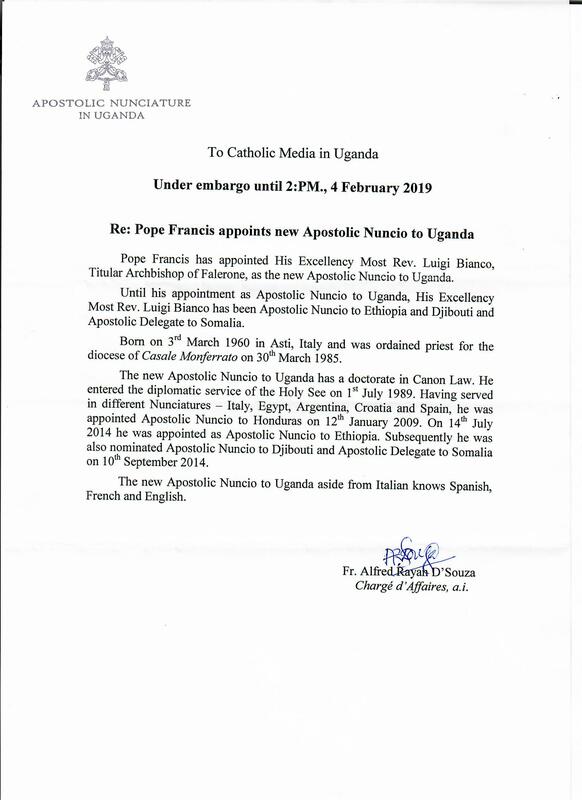 KAMPALA – Pope Francis has appointed Italian Archbishop Luigi Bianco as the new Apostolic Nuncio to Uganda. 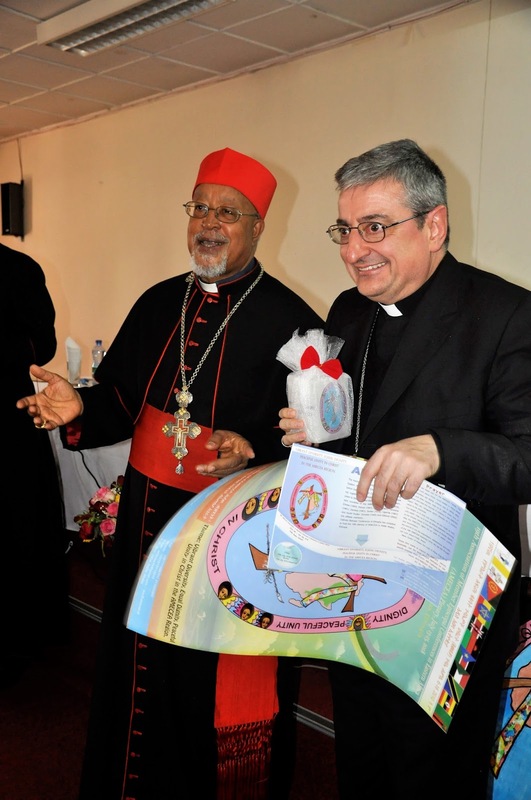 Archbishop Bianco, the titular Archbishop of Falerone has until his appointment been the Apostolic Nuncio to Ethiopia, overseeing Djibouti and also in charge of Somalia. He was formerly Nuncio to Honduras. He takes over from American Archbishop Micheal August Blume who at the turn of the year, was named the Nuncio to Hungary on transfer.